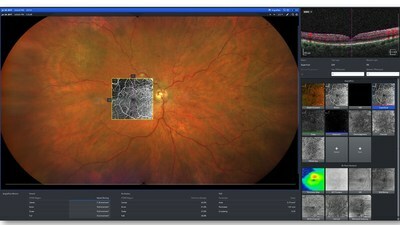 During the combined exhibition of the European Society of Cataract & Refractive Surgeons (ESCRS) and the European Society of Retina Specialists (EURETINA), ZEISS presents its cross-platform ophthalmic digital portfolio which aids doctors in disease management, allowing them to help their patients more efficiently, every step of the way -- from assessment, diagnosis, to treatment. VIENNA, Sept. 21, 2018 /PRNewswire/ -- The Medical Technology business group of ZEISS will present its newest digital diagnostic solutions for retinal diseases and glaucoma, along with new astigmatism management options in cataract surgery, this week at the ESCRS & EURETINA exhibition. "Digitalization of eye care provides doctors integrated and data-driven solutions, allowing them to help patients every step of the way," says Jim Mazzo, Global President Ophthalmic Devices at Carl Zeiss Meditec. "Our comprehensive portfolio provides a connected, multi-modality approach to patient data that spans across assessment, diagnostics, and treatment," Mazzo said. According to retina and vitreous physician and surgeon Peter A. Karth, MD, MBA, this integration is crucial in detecting, diagnosing and treating retinal disease. "One of the biggest challenges in retina practices today is viewing and integrating multimodal imaging to efficiently and fully assess macular disease in busy clinics," says Karth. "I consider the ZEISS Integrated Diagnostic Imaging platform to be a key part of patient management, giving me the data integration that I need to make the best decisions for my patients," he added. Also featured at ESCRS is ZEISS' expansion of its Astigmatism Management portfolio for cataract surgeons. The Total Keratometry (TK) release for the IOLMaster® 700 Swept Source Biometry offers cataract surgeons the opportunity to replace assumptions about the posterior corneal surface with precise measurements which can help improve outcomes. In addition to its proven monofocal toric (AT TORBI®) and trifocal toric (AT LISA® tri toric) IOLs, ZEISS is now launching the AT LARA® Toric IOL in the Extended Depth of Focus (EDoF) category, thus giving surgeons a new option for astigmatic patients with an active lifestyle and a need for spectacle independence in distance and intermediate vision. Lead Surgeon at Augentagesklinik Rheine, Florian Kretz, implanted the AT LARA on one of his staff members. Having been one of the first users, Kretz said: "The AT LARA toric was my first choice for my refractive manager, as her daily routine is dependent on perfect vision." As part of the company's efforts to deliver digital solutions to support clinical workflow and decision-making, ZEISS is expanding Astigmatism Management with the new online IOL calculator, Z CALC. This new release updates the algorithm to account for posterior corneal astigmatism, making it compatible with the new IOLMaster TK measurement, and ease of use, adding the possibility to calculate post-LASIK eyes. "Digital solutions can help doctors address many of the challenges and emerging issues they are facing in daily practice," says Dr. Ludwin Monz, President and CEO of Carl Zeiss Meditec. "Digitalization integrated throughout the process -- at every step of the way from diagnostics to treatment -- can help doctors increase clinical efficiency and performance to better help their patients." ZEISS will showcase its comprehensive portfolio in Hall B, Booth 401 at the 2018 exhibition of ESCRS & EURETINA in Vienna from September 21 to September 25. Additionally, ZEISS will host hands-on IOL and SMILE Experience theaters and wet labs, along with an impressive line-up of renowned doctors sharing their expertise and insights during "Meet the Experts" sessions. Carl Zeiss Meditec AG (ISIN: DE 0005313704), the Medical Technology Business Group of ZEISS, is listed on SDAX and TecDAX of the German stock exchange and one of the world's leading medical technology companies. The Company supplies innovative technologies and application- oriented solutions designed to help doctors improve the quality of life of their patients. 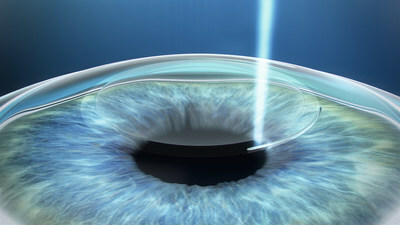 The Company offers complete solutions, including implants and consumables, to diagnose and treat eye diseases. 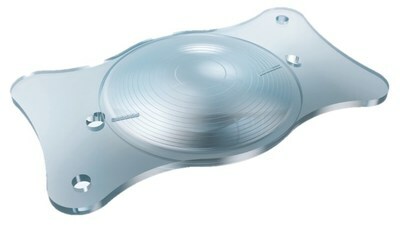 The Company creates innovative visualization solutions in the field of microsurgery. With approximately 3,000 employees worldwide, the Group generated revenue of € 1,189.9 million in fiscal year 2016/17 (to 30 September). The Group's head office is located in Jena, Germany, and it has subsidiaries in Germany and abroad; more than 50 percent of its employees are based in the USA, Japan, Spain and France. The Center for Application and Research (CARIn) in Bangalore, India and the Carl Zeiss Innovations Center for Research and Development in Shanghai, China, strengthen the Company's presence in these rapidly developing economies. Around 41 percent of Carl Zeiss Meditec AG's shares are in free float. The remaining approx. 59 percent are held by Carl Zeiss AG, one of the world's leading groups in the optical and optoelectronic industries.